How do you more effectively convince people? Effective influencers understand human behavior. They use psychology to persuade people to make decisions. Persuasive arguments – the kind that actually motivate minds – are emotional, not reasonable. Here’s more evidence. Hi, I’m Jack Heald for Cult Your Brand. People almost never make rational decisions. Even the most rational people make their decisions on emotion. My younger son is a financial advisor. He challenged my statement that people don’t make decisions rationally. He told me that when his clients call him, he explains all the rational reasons why they should follow his advice. And they do. Therefore – according to him – they make rational decisions. I asked a couple of questions. “When your clients call you, are they upset?” Yes. “Are they driven by fear?” Yes. “So what you do when you talk to them is make them feel better, right?” Yes. He uses facts. But that facts are not appealing to his clients emotions. The facts appeal to their rationality. And their rationality is not in charge of their emotions. My son’s calmness, his confidence, appeals to their emotion. And as they listen to his confident words and competent command of ideas, their fears subside. They feel better. And as they feel better, they can then grasp onto those facts and use them as anchors for the decision they have ALREADY MADE. I asked him one more question. “Don’t they just take the FACTS you gave them and take those FACTS back to their spouse to JUSTIFY the decision that they’ve already made?” Yes. That is exactly what happens. People are never, ever persuaded by facts. They are persuaded by emotion. They justify their emotion-driven decision with data. That’s why you should Cult Your Brand. Want to learn a little more about how and why humans make the decisions we do? 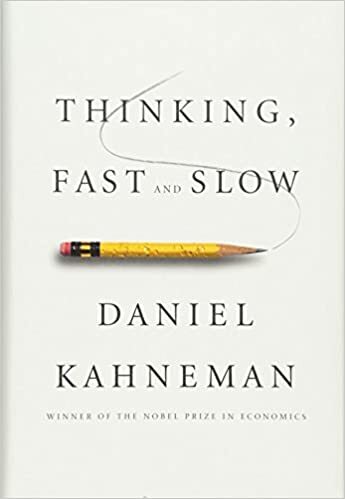 One of the best books on the subject is Daniel Kahnemann’s Thinking Fast and Slow.